Pragya Singh Thakur was fielded against Digvijaya Singh. Both are against each other in Bophal, Madhya Pradesh. Pragya Singh is accused in Malegaon Bomb blast in 2008. I do not know if she was involved in that blast or not. I cannot say anything as after Congress, BJP came to power in 2014 and from there things took U-turn. It is only investigative agency who can comment on her. 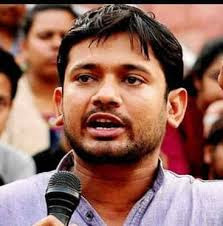 Kanhaiya Kumar was a JNU student leader and is fighting from Begusarai, Bihar. He was accused in the involvement of Anti-India sloganeering in JNU. Again, if he shouted or not with them, I cannot say for sure. In both of the above cases, you as citizens of India or resident of social media must have formed some kind of opinion. You may not like to share openly on this controversial topic but Twitter Poll is anonymous. No one, including me, can know who voted what AND who participated in the Poll. So, vote your voice on Twitter. Let other know who is better. This question arise and became more important as both were cases of Nationalism. BJP and whole brigade use Kanhaiya Kumar as Anti-National but Pragya Thakur as Nationalist. Now, this nationalist theory can be different in everyone's mind! A burning Question - Who is more nationalist than other? Who is better for India? 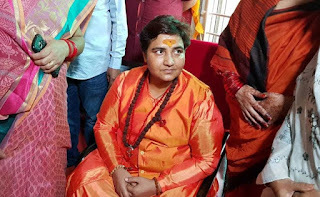 Think as if You were given a situation where Sadhvi Pragya Singh and Kanhaiya Kumar both are fighting election and you have no choice but to vote of one. Whom will you vote for? कन्हैया कुमार या साध्वी प्रज्ञा में से एक को चुनें. 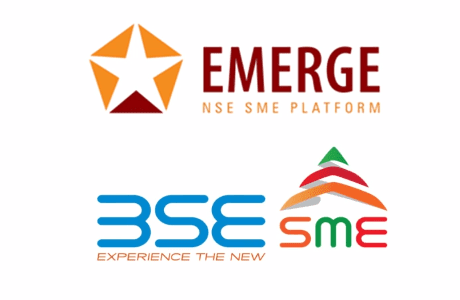 From prior of Lok Sabha 2014 to prior of Lok Sabha 2019. 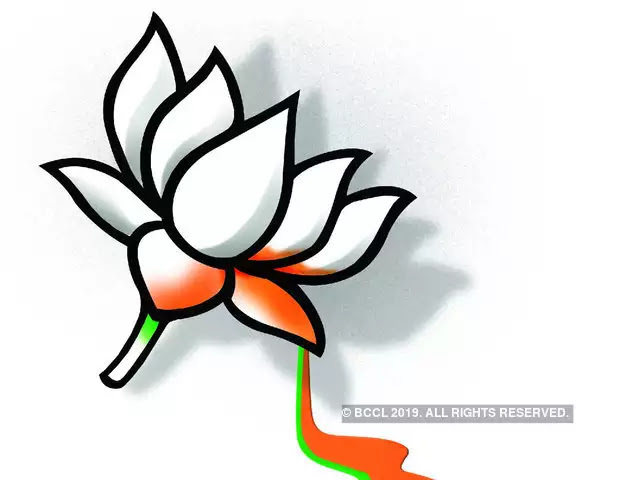 I supported BJP for many years. It should be more than 20 years which I was voting for BJP. I was giving vote to BJP from start. But, now I am against BJP. I am exposed to BJP party. This is a witch party which take supari for killing using 1000s cuts. It use slow poison using SIS India arrangement. It can even give you infection. Yes, I am serious. It spread disease. It can send girls of any age from 5-10 years to 20-30 years to honey trap and led you to AIDS. I have one example. They even tried this on me but somehow I could not fall into that trap. But poison, I cannot save myself as it uses various method. Infection is also you cannot save yourself until police cooperate but Police is not even a dog. It is a tail of a dog of SIS India. This police example is based on experience of Bihar Police. Police at other states are not very different but better. 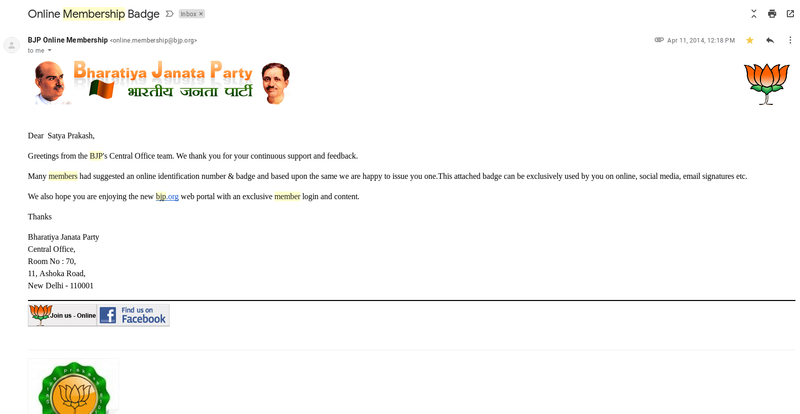 You may think I was supporting BJP from start here on blog too and now turned against it. But why? Reason I have mentioned in recent past few blog posts. I am against BJP and opposing BJP from few months on Twitter. This is just a month prior to 4-5 states election which BJP lost. BJP lost Rajasthan, Madhya Pradesh, and Uttrakhand. and I smiled. BJP must loose Bihar completely. JDU is also sleeping. Bihar is having bad luck politically. Here is an image of BJP membership. This is not a lie that I was supporting BJP without a single rupee gain. I was giving time to BJP. I was supporting BJP in arguments in South India where BJP is not a big force. I was doing it online for many years also. I was not getting even the benefits soft gain like walking with many people and showing power to other. You know for this also many people die. I was doing job in Bangalore and earlier in Mumbai and in Pune. I paid donation to BJP in 2014 and membership amount to become member before Lok Sabha Election 2014. But, BJP became very strong after that and won many states elections too. Now, I hope, like me, many may be standing against BJP. It is a fascist party and Manuwadi and samanti party. Even non upper caste leaders in it is Supremacist. Must be opposed. 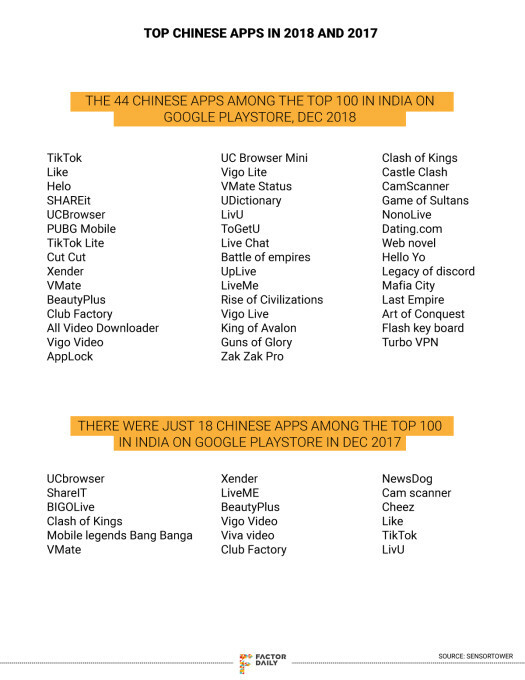 Not good for India. Dangerous BJP. Throw BJP out from India. BJP should be named as Fascist and Largest Most Abusive Party in the World.